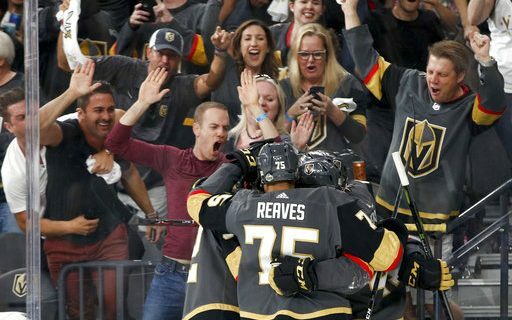 The NHL Stanley Cup Finals begin tonight, with the expansion Vegas Golden Knights taking on the Washington Capitals. Some Buffalo Sabres fans are angered that a team in it’s first year of existence has a chance to win the Cup, while they’ve been waiting 48 years and maybe a lot more. But Buffalo Sports Page humorist Jeff Wozer has found the top reasons why Sabres fans shouldn’t be jealous. • Vegas fans have no players to play with during Golden Knights alumni golf tournaments. • Vegas fans think the Art Ross Trophy is named after that PBS painter guy with the perm, Bob Ross. • Our mascot resembles a lovable Disney character on a nine-day whiskey bender; their gila monster mascot resembles Kenny Rogers after a bad facelift. • No playoff games to distract our local media from covering skinny teenagers on stationary bikes at NHL Draft Combine. • Vegas fans think Lady Byng is the stage name of a local stripper. • No playoff games means no traffic nightmares for the Buffalo Bisons’ 22 fans. • Due to lack of history even the scratches make countdowns of the Top 30 Greatest Golden Knights players. • Las Vegas national anthem singer exits after one anthem; our national anthem singer graciously remains on ice for an encore. • Vegas fans think King Clancy is Queen Elizabeth’s little known half-brother. • Step out of the Bellagio Casino and you see dancing water; step out of the Seneca Buffalo Creek Casino and you see Labatt beer cans the size of grain silos. It will get better for the Sabres. Jeff is already seeing signs of how the team is making top draft pick Rasmus Dahlin more at home. Nationally touring stand-up comedian Jeff Wozer has performed with some of comedy’s biggest acts – Martin Short, John Oliver, Brian Reagan – and on some of comedy’s biggest stages – Red Rocks Amphitheater, the Las Vegas strip, Great American Comedy Festival. His humor articles have appeared in more than 40 publications including ESPN’s Active.com, Rocky Mountain Sports and the Explorer Club’s Explorer’s Journal. Prior to veering into comedy he worked as a sports and news director for WFAD in Middlebury, Vermont where he won an Associated Press award for hockey play-by-play. And he spent two years as the play-by-play voice for the Vail Avalanche junior hockey team in Vail, Colorado.